Toiles du Soleil striped Deckchair. This deckchair is dressed with a beautiful fabric, quite thick special long chair, coming from the well known "Toiles du soleil". The vertical stripes are in soft colours : purple, green and taupe. This pretty long chair will be wonderful on your balcony or in your garden, this summer. Who said pastis ? Why not tea time ? Dimensions : length 1 m 30, width 56 cms. 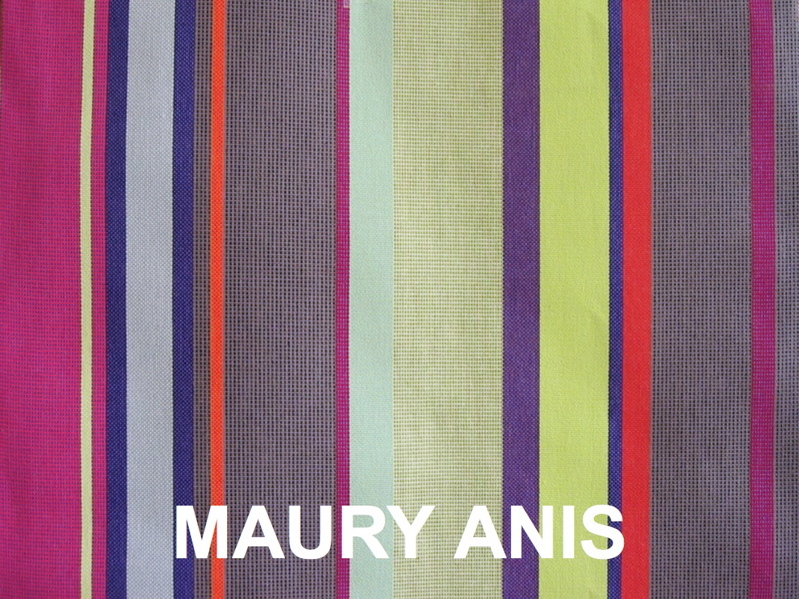 The fabric can be different colors : Maury anis (vert et violet) et Tom multicolore and all the other colors you can find here.